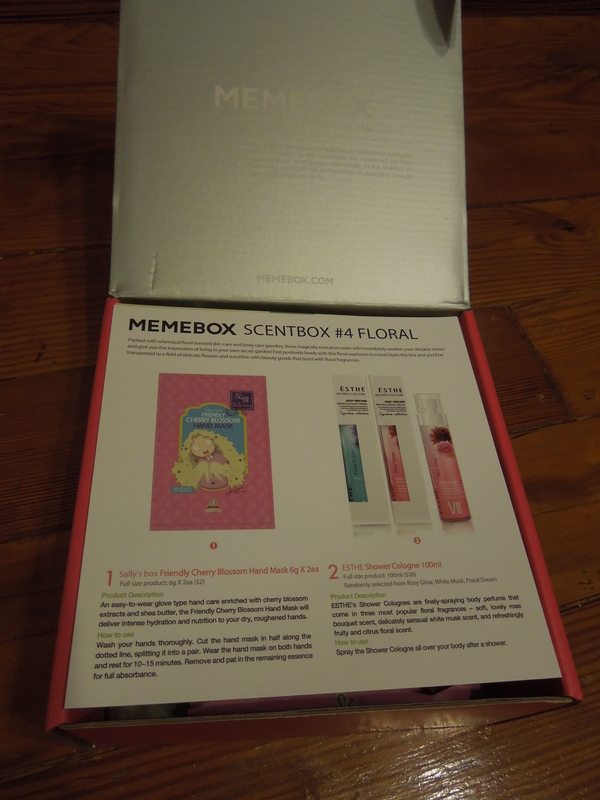 So if you’ve been reading lately, you’re probably aware of my newest obsession: Memebox (pronounced Mi-mi-box). And this month I’ve got a great treat for my wonderful readers. If you use my referral link along with the code: FOFN you’ll get $5.00 off! Jump down to the backstory for a list of other coupon codes you can use toward multiple boxes. 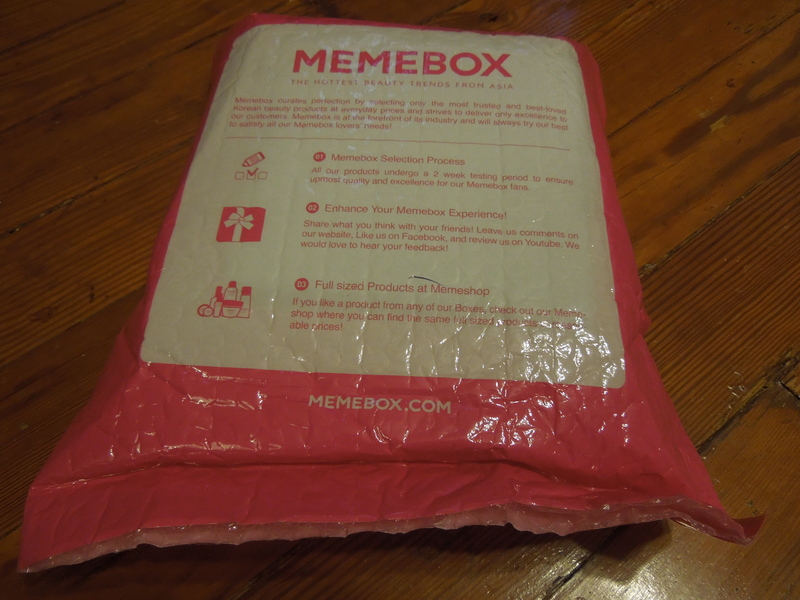 Memebox features full size Korean beauty products and curates themed boxes that you purchase in advance and then get shipped out to you later. I had a great coupon awhile back and opted to try one of their smaller boxes. 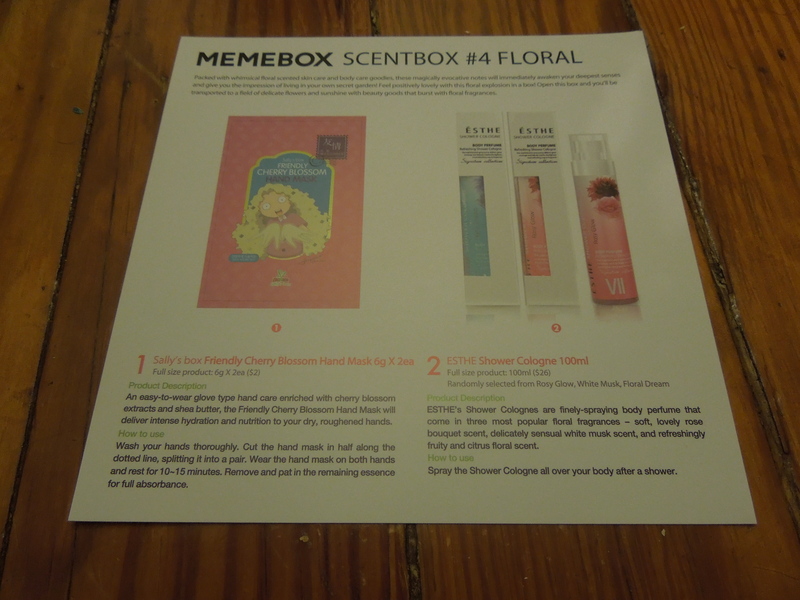 I grabbed the Memebox Scentbox #4 Floral with the hope that I’d get some rose skin care or other fun products. This box is currently sold out, but there are frequent restocks and lots of other fun options. 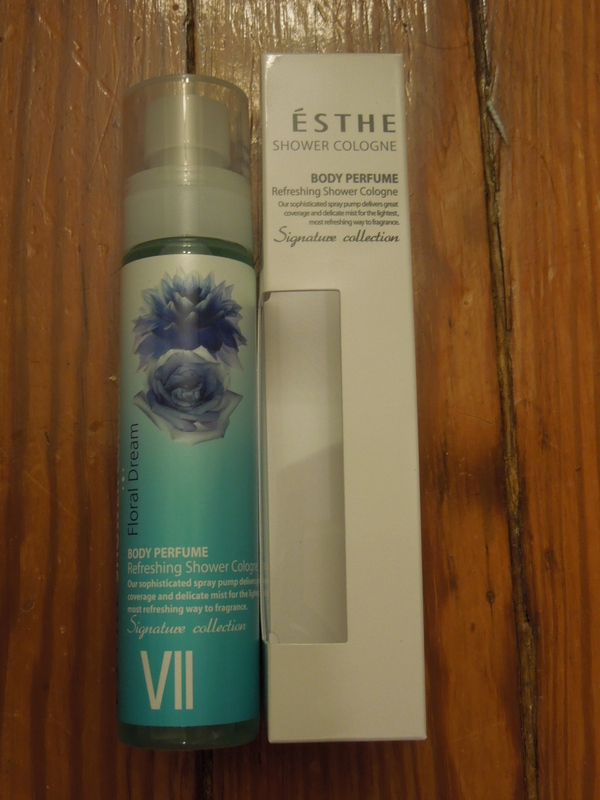 Whimsical floral scented skin care? My own secret garden? They’re really building this one up. I hope it can stand up to the hype. As usual we get the adorable pink box that I know hoard with all of my birchboxes for recycling or upcycling or whatever hipsters call reusing stuff. Thankfully we’ve gotten our usual two-sided card that describes our items since I don’t think I can learn Korean in time to post to you all. I love getting masks. The only hand masks I have are from Julep so I’m psyched to try out another. I can’t smell this one until I open it but I typically love Cherry blossom scents so this one should work out really well. Unfortunately I got the scent that was probably the least appealing to me. I was pleasantly surprised that it wasn’t one of those hugely overwhelming old lady florals. It’s still not really my taste, although it does have really similar notes to Julep’s body oil. I’ll be passing this along to someone who will enjoy it more. I typically like rose scented things but I just didn’t care for this. I don’t wear much perfume in general so for one to appeal to me it really has to be great. This would be nice for a teenage girl, but I’m just not feeling it. I’m also disappointed to see two perfumes in this same box. This box only comes with a few items and really needs more variety. A shower gel, face cream or lip balm with a floral scent would have been much more appropriate and have rounded out this box better. 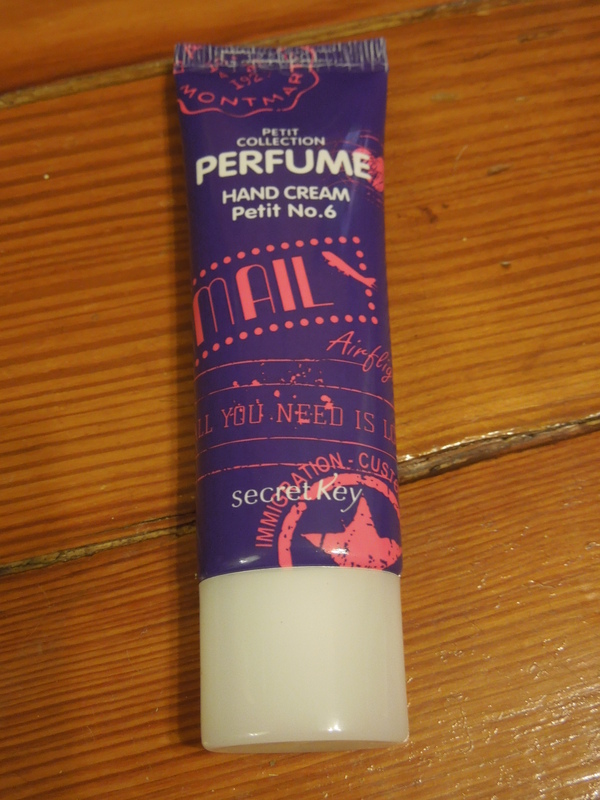 Secret Key Perfume Hand Cream 30g in No 6. I liked the consistency of this hand cream and the scent was light and pleasant. I’ll add this little guy to my manicure kit and get a little bit of spring time while I’m locked inside during the winter. 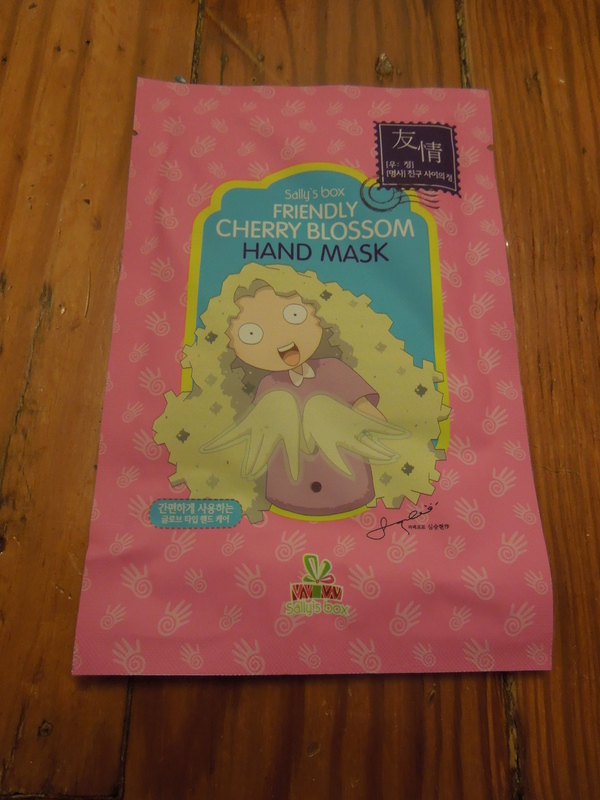 Again though, we already had a hand mask so it would have been much nicer to get a different product in this small box. Now this box retailed for $15 plus the $6.99 shipping. Memebox had an amazing $15 coupon so I grabbed this just for the cost of shipping. At my $6.99 pricetag, I’m okay with only using the hand cream and hand masks. However, if I’d paid full price plus shipping I would have been super disappointed. I know this is a smaller box with only four items, but there’s just not enough variety here and there’s only one mask that’s taking up one of those 4 spots. There are a ton of awesome floral scented Korean products – in the rose skincare category alone the options seem endless, so this box was a miss. Memebox claims the retail on these items total $50, but I tend to think their values are inflated somewhat. I’m not seeing $50 in this box, not even close. 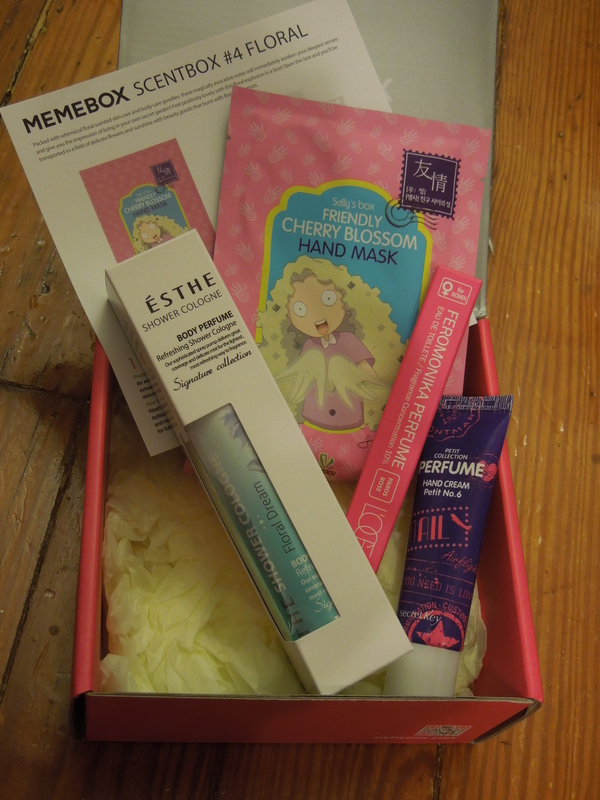 Now this is my first real miss with Memebox, but I’ve got a ton more en route because I can’t resist cute packaging and strange beauty promises. These boxes include: #16 Memebox Global, Princess Edition #1 Snow White, #51 My Cute Wishlist #2, Special #31 Earth & Sea Cosmetics, #61 My Cute Wishlist #3, Memebox #44 Very Berry & Superbox #63 Blackheads No More Bundle, and Superbox #66 Tony Moly & Holika Superbox #67 Holika Bundle. If you want to see what’s inside any of these lovelies, be sure to follow my blog. Memebox is constantly updating their box selection and offers, so always check my latest Memebox reviews for coupon codes and offers. Like my latest coupon code they often have special offers only available through affiliate links. They frequently re-issue sold out boxes so if you’re in love with something sold out, make a wishlist and sign up for the Memebox newsletter to find out if it gets restocked. Description: “Wine, famously known to be rich in antioxidants and essential minerals, speeds up the cell renewal process and stimulates the blood circulation for the look of rejuvenated, brighter skin! Cheese, considered an excellent source of Vitamin B for the skin. supports the look of supple, bouncy and glowing skin. Description: “Cocoon peeling balls, pig face carbonated bubble foam masks, and peel-able tattoo lip glosses are practically cult classics for Memebox beauty junkies! While we’re all aware of these beauty faves (and add them to our Memebox cart everytime we visit), we’ve discovered a whole new list of “wonderful treasure finds” (that you’ve never seen and heard of!) that are under-the-radar, but deserve every bit of your praise and obsession! Description: “Zesty citrus fruits are prime beauty-boosting ingredients in tons of beauty products, and for a good reason! Loaded with collagen-boosting Vitamin C and skin brightening natural acids, citrus fruits are skin and body-savers that halt the signs of aging and promote supple skin! Description: “Find all of Holika Holika’s real deal skin care, crazy cute makeup, best-selling body care, and much, much more all in this Holika Holika Box! Recommended for even K-Beauty beginners, this Holika Holika Box includes practical yet gosh-darn-cute beauty goodies that will really transform you into a Holika Holika-holic, leaving you begging for more! Description: “Famous for their signature swoon-worthy packaging and its incredible effectiveness, Tony Moly is one of the most sought after beauty brands in all of Korea! In this Tony Moly Box, you’ll find all of Tony Moly’s holy grail beauty essentials – intensive skin care goodies, makeup must-haves housed in precious packaging, and body treats that are begging to be instagrammed! Take this chance to snag this limited time only Tony Moly Box and experience the best of the best beauty in Korea! Are you grabbing any of the new boxes? If so which ones? 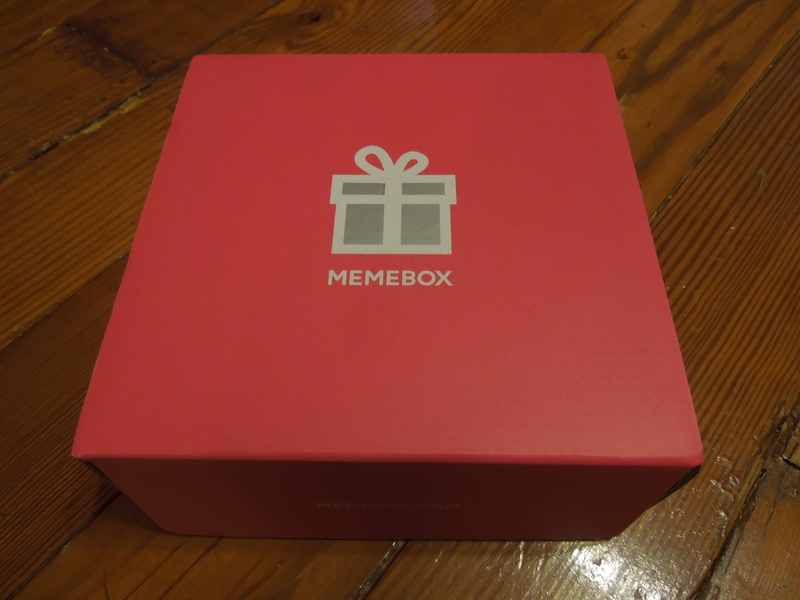 Memebox (pronounced Mi-mi-box) is the #1 beauty box provider in Korea and has recently come to the US. Their boxes include the “most trusted most trusted, best-loved Korean beauty products at everyday prices.” Memebox carries 4 main types of beauty boxes: Memebox, Memebox Special Editions, Superbox and Luckybox along with full-size, Korean beauty products in their Memeshop. Unlike subscriptions, you purchase these boxes individually as they are released, so this is a great option for the commitment phobes who don’t want to be locked into a beauty subscription. There are tons of fun themes and pricing options. Memebox special edition comes packaged with 4-8 full-size products and delux samples under its own theme. 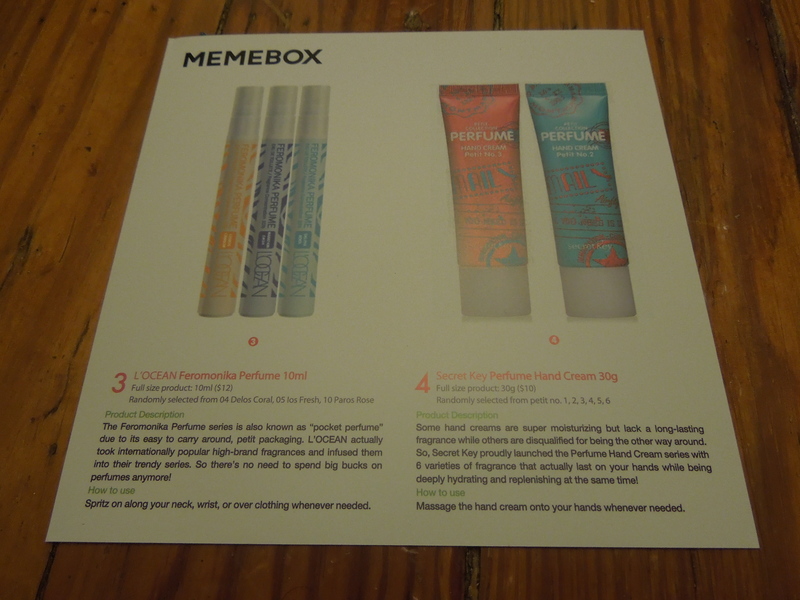 Memebox special edition is designed to meet the various concerns, beauty trends, and also seasonal needs. Superbox was inspired by Memebox lovers, looking for full-sized products catered to specific needs. Each Superbox series comes with its own theme, designed to target particular concerns, or collaboration with our favorite brands! Every Luckybox is unique and is filled with 4 – 8 full sized products and deluxe samples carefully curated from Korea to give you the best experience and widest exposure to a range of products! Use my referral link along with the code: FOFN you’ll get $5.00 off!